Sign up below to stay up to date with Bensalem Muscle Therapy news and other information! Licensed Massage Therapist, Janice Malloy, RN, LMT, specializes in applying advanced massage therapy skills to help you alleviate muscle pain and correct leg length difference, soft tissue, scar tissue, and fascia. Muscle therapy can help with many conditions and is highly effective when it comes to pain relief. How? Muscle therapy increases blood flow to your muscles, thereby helping to alleviate pain. It also reduces adhered scar tissue, eliminates adhesions within muscles and promotes normal function and range of motion of muscles. The wide range of muscle therapy options is sure to help anyone's unique pain situation. From back pain to carpal tunnel syndrome, there are specific methods available so that you can live a healthy and pain free life. "I have been suffering from migraine headaches as well as cluster headaches for the past 13 years. I have tried many types of treatments and medications with little success. 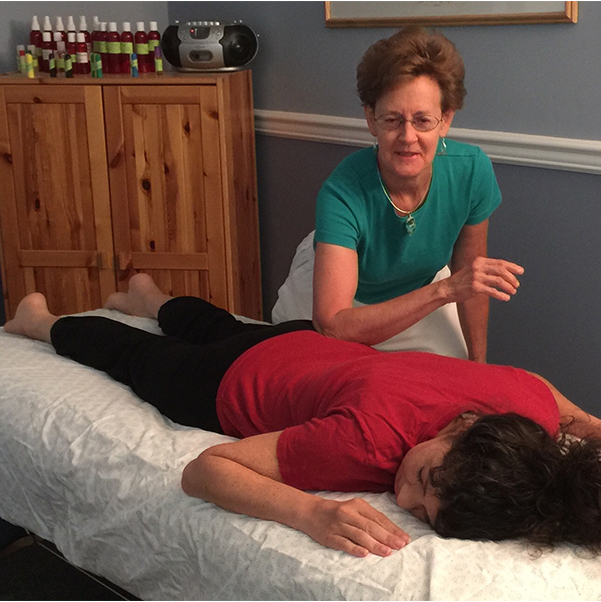 Janice urged me to try Kinetic Chain Release and after just two sessions my headaches have decreased dramatically in intensity and frequency." Would you like to know whether or not your insurance will cover the cost of massage therapy? Are you curious if you insurance will pay for therapy costs? Learn more about coverage.